Wind Ensemble Assessment Schedule Update from snow day. 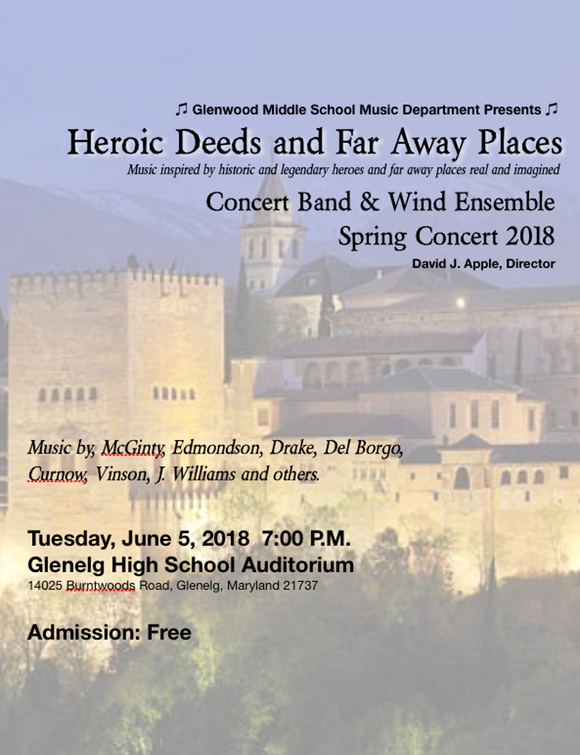 The Glenwood Middle School Wind Ensemble will be attending and performing at the annual Howard County Middle School Band Assessment held at Atholton High School. This is a county mandated performance for all band students and attendance/performance will count towards their overall grade in band class. The HCPSS Music Office has made every effort to accommodate our schedule for those band students participating in Midnight Madness on Friday. The MAKE-UP assessment date for the Wind Ensemble will be tomorrow, FRIDAY, MARCH 23rd , 2018. 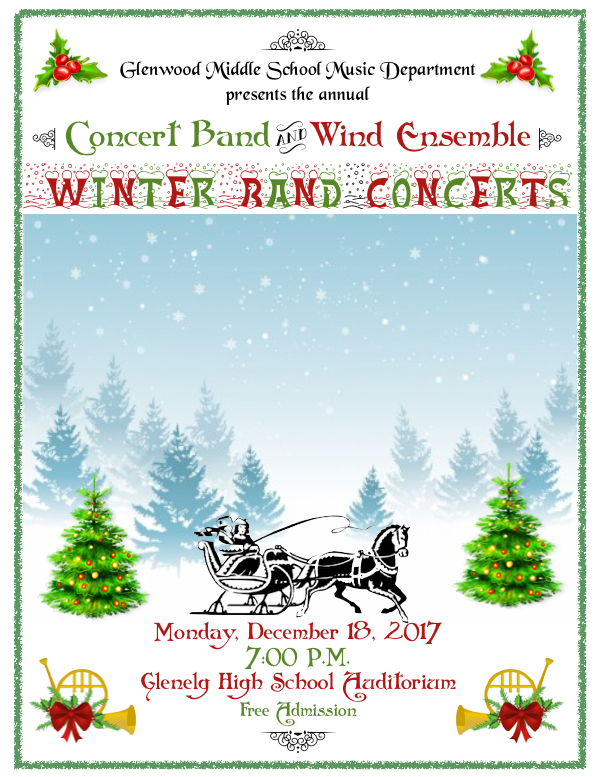 The adjudication for the Concert Band is CANCELLED. 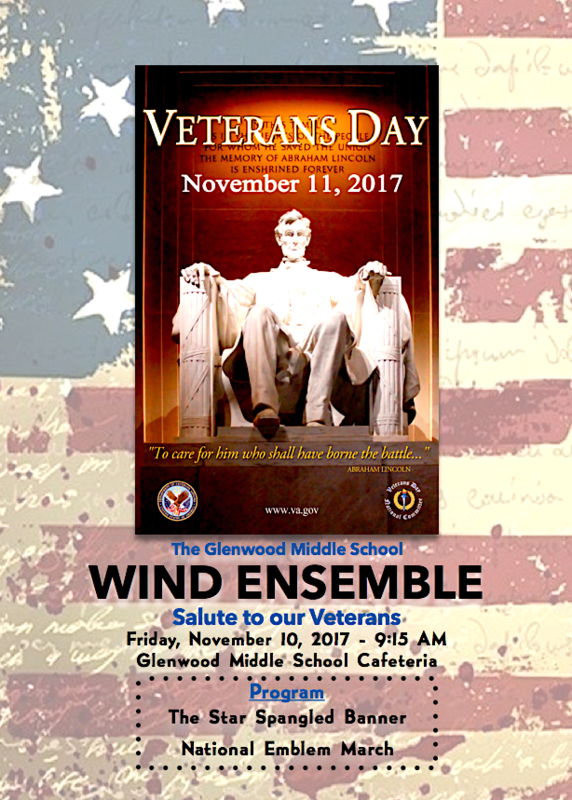 On Friday, March 23th, I will need all Wind Ensemble students to meet in the band room at the start of Period 5 (11:51am) ( 8th grade students will eat on the 7th grade lunch shift) to get their instruments tuned, to dress in concert attire, and ready to leave at 1:15pm. We will not get back to Glenwood Middle School until 4:00 - 4:30pm. All students must bring their backpacks and belongings with them to the band room at the start of Period 5. When we return around 4:00pm those students who need to be chaperoned for Midnight Madness will check in with Ms. Apple. Ms. Apple will be their chaperone for the activity until their parent chaperone arrives at school. 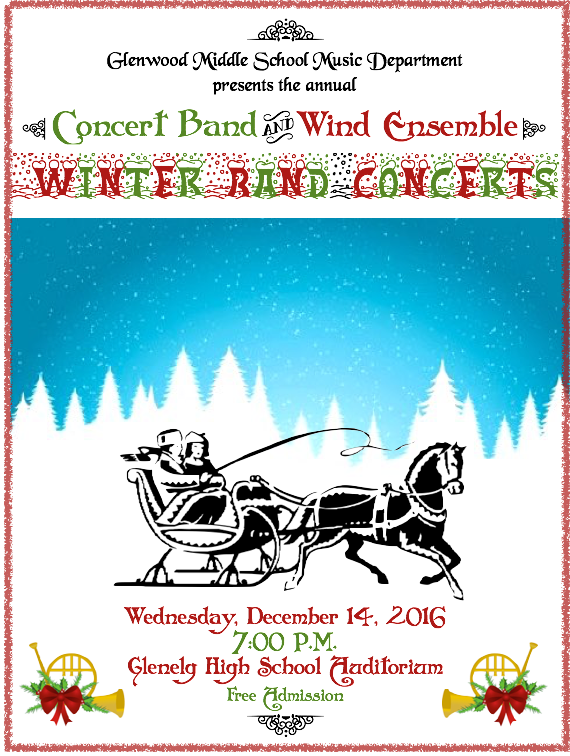 All other Wind Ensemble students not participating in Midnight Madness must be picked up by 5:00pm. The celebration continues to grow each year, reaching more and more students, teachers, musicians, and music supporters. 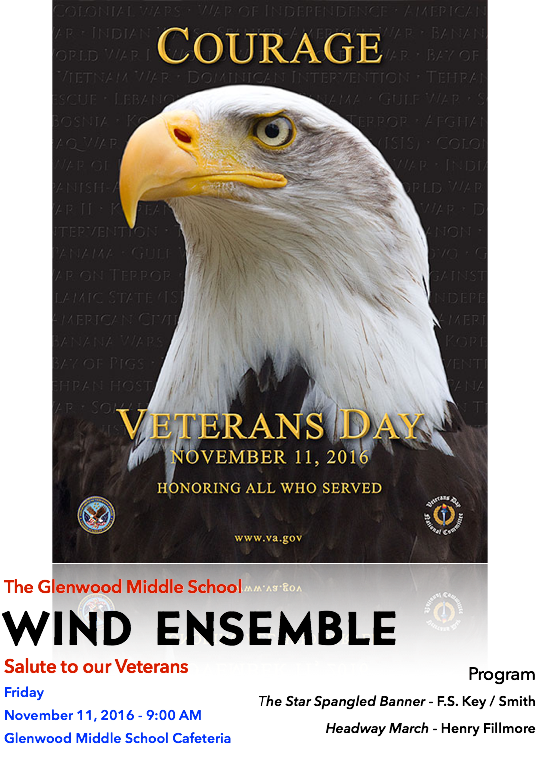 Schools and communities throughout the country and overseas celebrate MIOSM with concerts and other activities (Links to an external site. )Links to an external site. based on the year’s theme. Classrooms, concert halls, civic buildings, clubs, parks, libraries, and shopping malls are just some of the arenas in which the public can observe the processes and results of music education. NAfME’s 52 federated state organizations (Links to an external site. )Links to an external site. (representing each state, the District of Columbia, and Europe) play an active role in the observance, securing governors’ proclamations, enlisting the support of chief state school officers, and establishing organizational structures to help reach individual music educators. MIOSM chairpersons (Links to an external site. )Links to an external site. with each state organization provide the major thrust for the MIOSM celebrations, with the goal of involving students, administrators, parents, civic groups, and community members. Other national arts and education organizations also lend their endorsements and support to the programs through publications and events. MIOSM and the events surrounding it are the ideal opportunities for increasing awareness of the benefits of high quality music education programs in our nation’s schools. NAfME hopes that teachers, students, and music supporters alike will find ways to join in on the celebration through creative activities and advocacy. Learn more about how NAfME works to support music education (Links to an external site. )Links to an external site.. 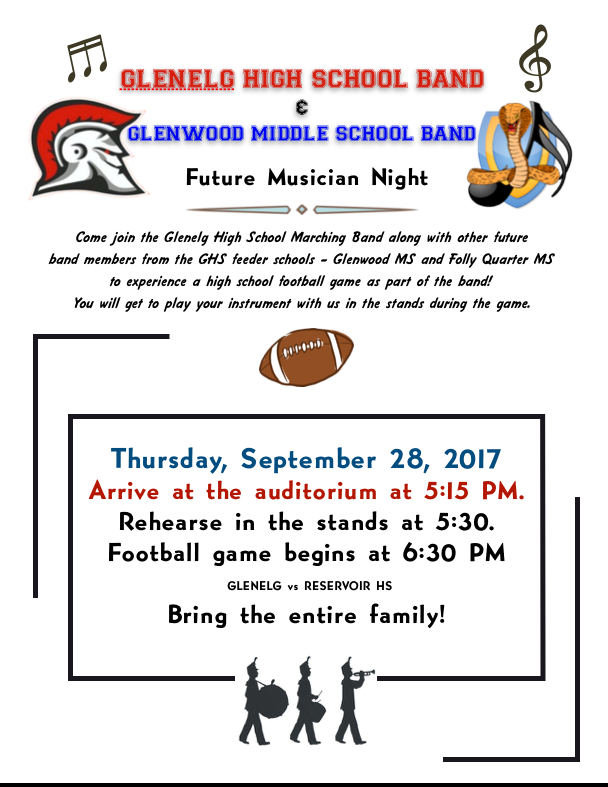 The Glenwood Middle School Band is proud to help the GMS Community celebrate 50 years of Glenwood Middle School. Stay tuned for more information about events throughout the 2017-2018 school year and how we will celebrate all of our current and past achievements. Some thoughts as we start band next week.